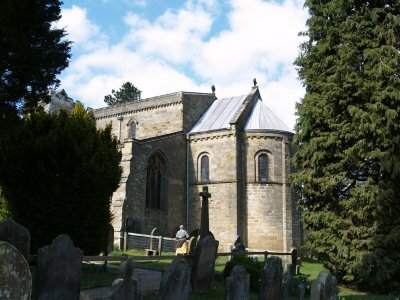 View of St Mary's Church, Lastingham, entering the village on the road from Appleton-le-Moors. 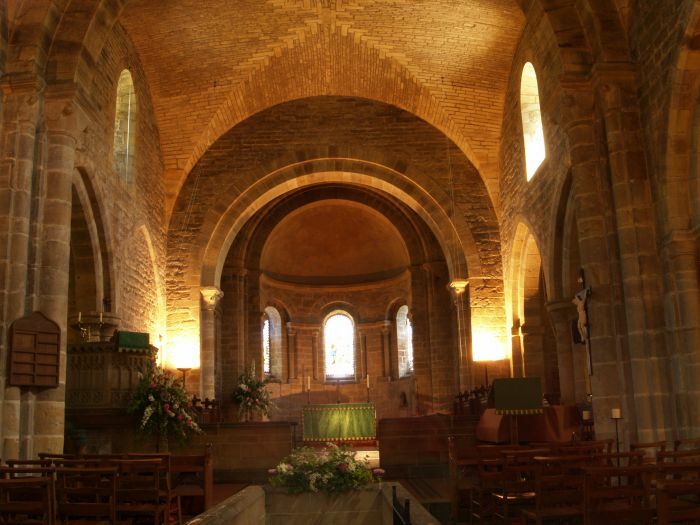 PLEASE buy the excellent guide book to the church and help maintain this wonderful building. 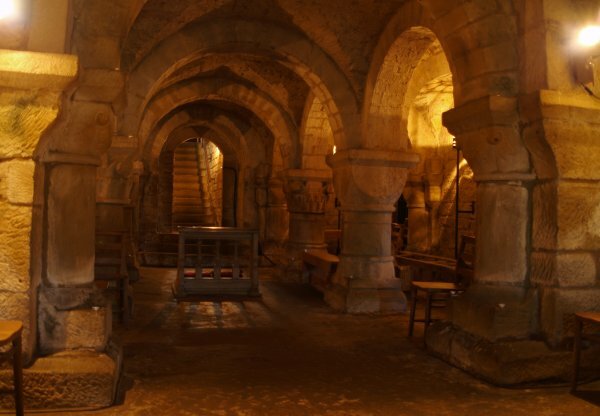 It has been a centre for Christian worship from the Saxon 7th century and retains some of its early Norman architecture and it isn't getting any younger! 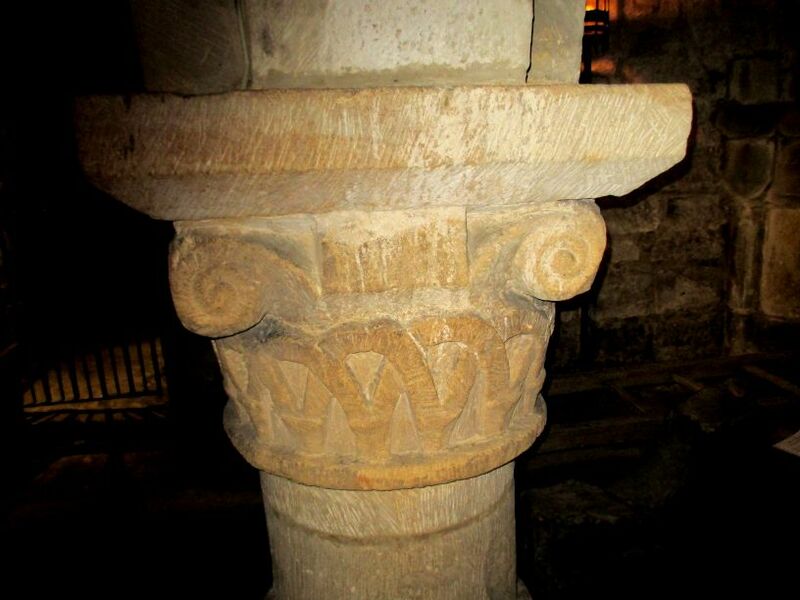 The church is the site of the monastery founded in AD 654-659? 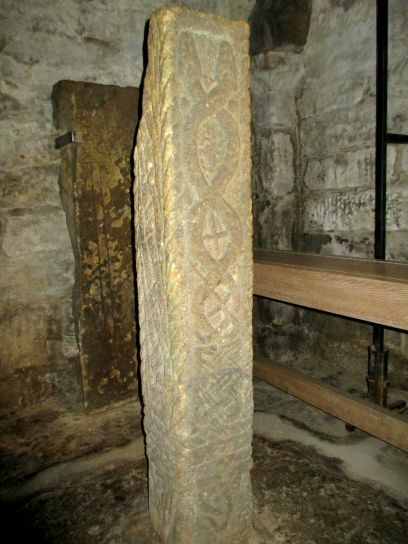 by St Cedd of Lindisfarne. 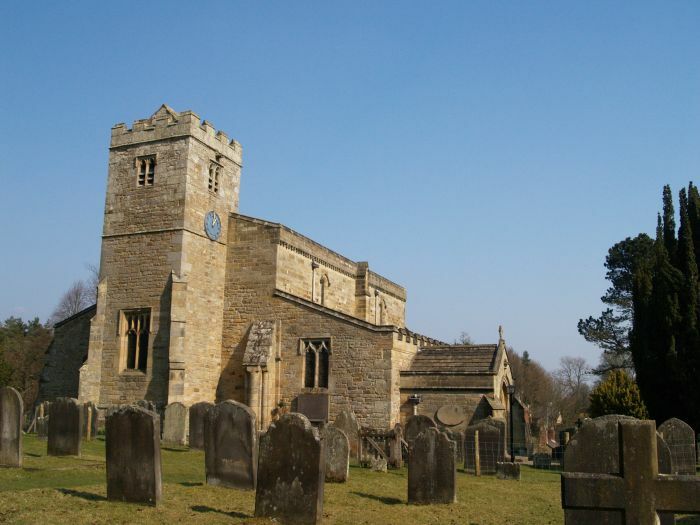 St Mary's Church, Lastingham: The west end and tower of the church, and fine rounded east end. 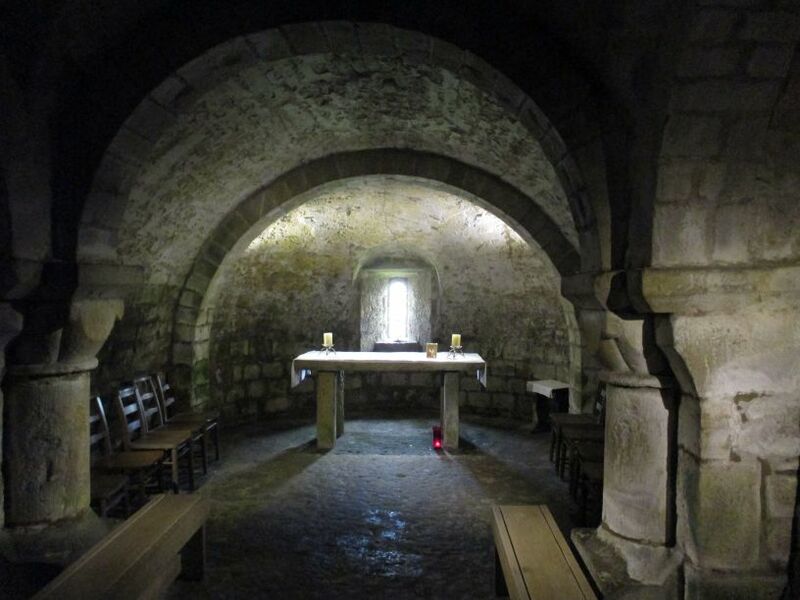 The first church was founded by St Cedd of Lindisfarne in AD 654 as a Celtic monastery. 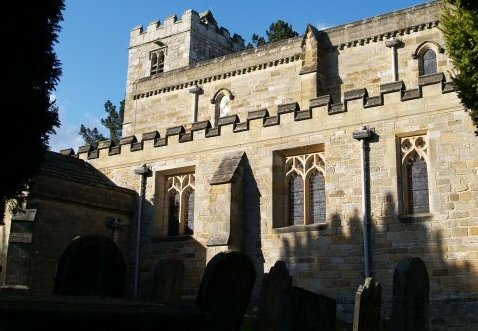 St Mary's Church, Lastingham: View of St Mary's Church, Lastingham, from the west from the graveyard. 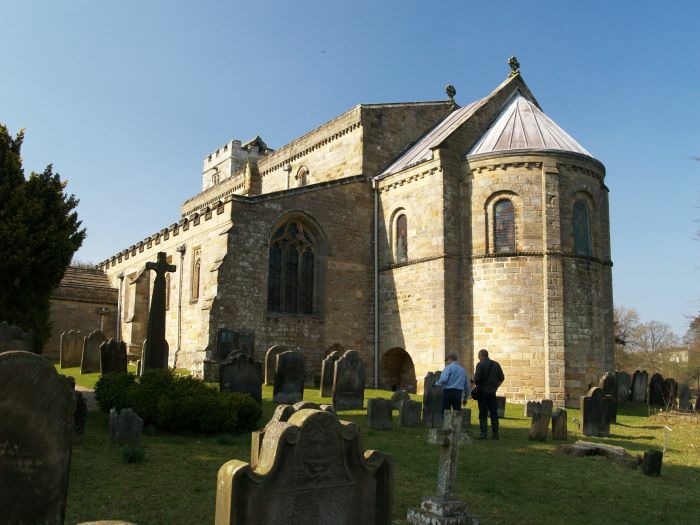 Stephen and his monks built the basis of the present day church between 1078 and 1088 when Stephen left for York. 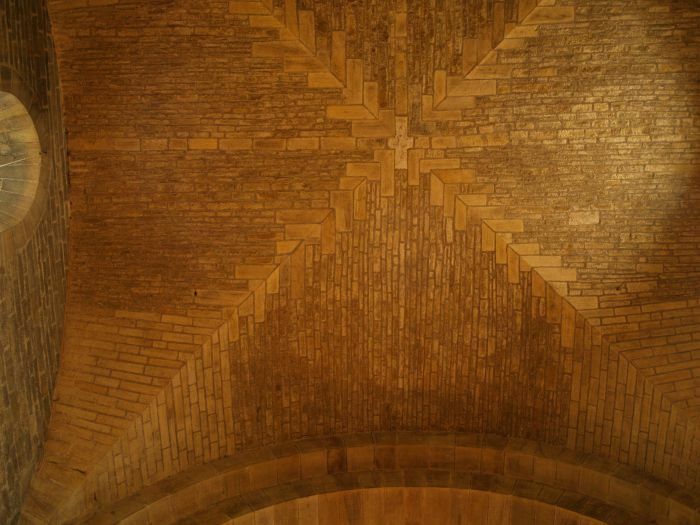 St Mary's Church, Lastingham: The east end apse of St Mary's Church, Lastingham. 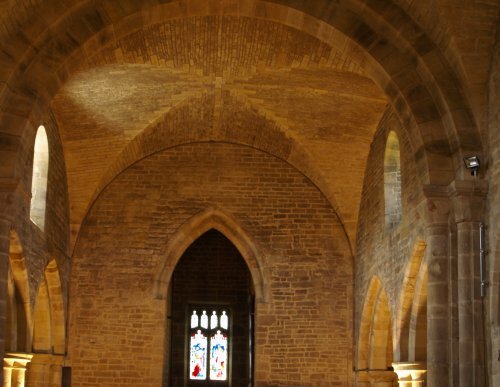 The architecture you see today dates from the 11th to 13th century plus some Victorian restoration added features. 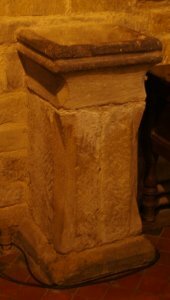 St Mary's Church, Lastingham: The fine outside stonework (11th-15th C) of the Parish Church of St Mary, Lastingham, is matched by the architecture inside, from the odd Saxon stone to the Norman grand designs, where you will also find an excellent informative and amply illustrated guide for a few pounds. 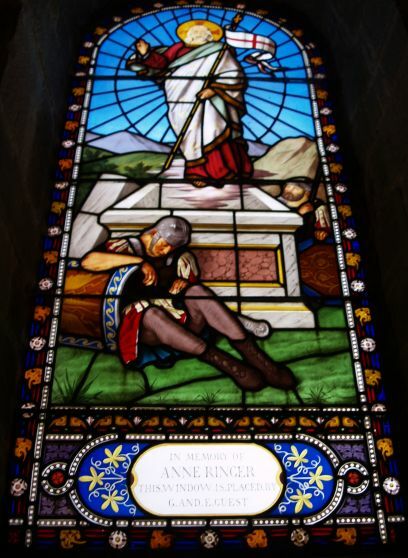 This is 'must' visit if you are a tourist on holiday in North Yorkshire and PLEASE buy the excellent guide book to the church and help maintain this wonderful building. 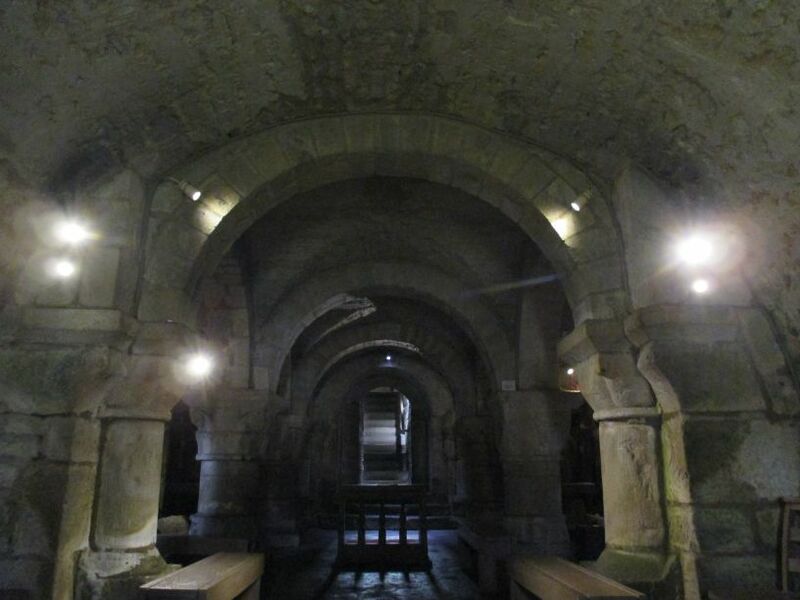 St Mary's Church, Lastingham: Looking east down through the aisle arches of the nave to the arch of the Norman chancel. 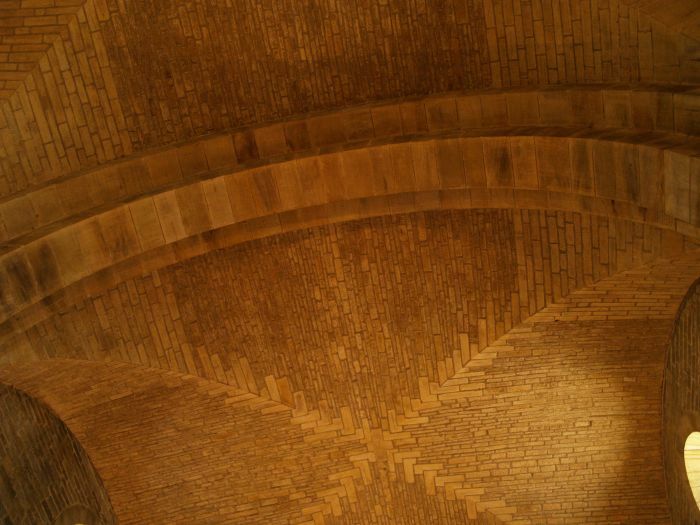 St Mary's Church, Lastingham: The amazing late 19th century wonderful groin stone vaulting above the nave and chancel (more detail below). 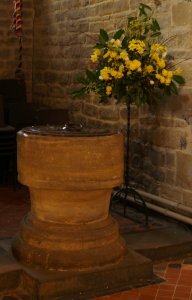 St Mary's Church, Lastingham: The early Norman 12th century font and a 15th century holy water stoup. 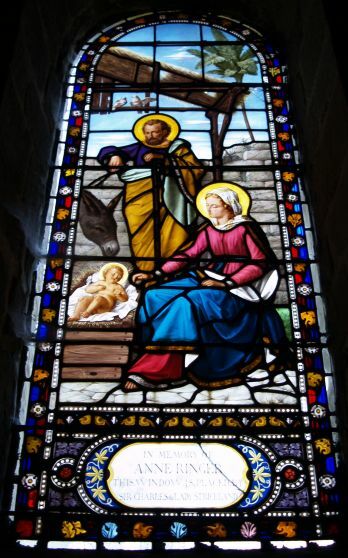 St Mary's Church, Lastingham: Some of the stained glass windows in the apse wall of the chancel. 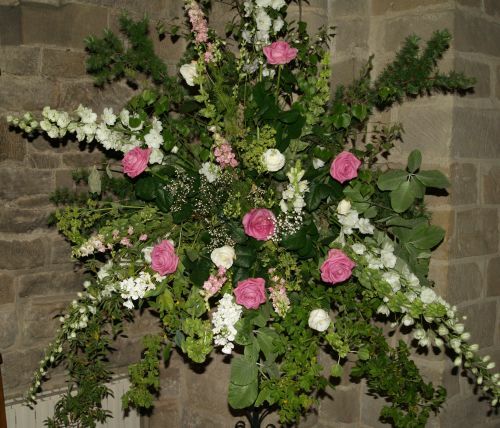 There always seems to be beautiful flower displays in St Mary's Church, Lastingham. 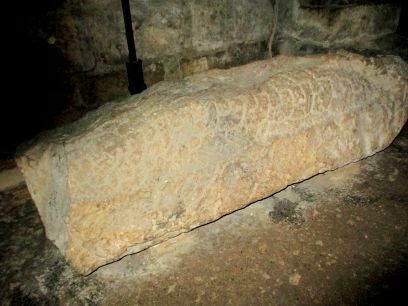 St Mary's Church, Lastingham: The short solid pillars of the late 11th century Norman crypt beneath the nave-chancel, looking towards the steps down from the nave. 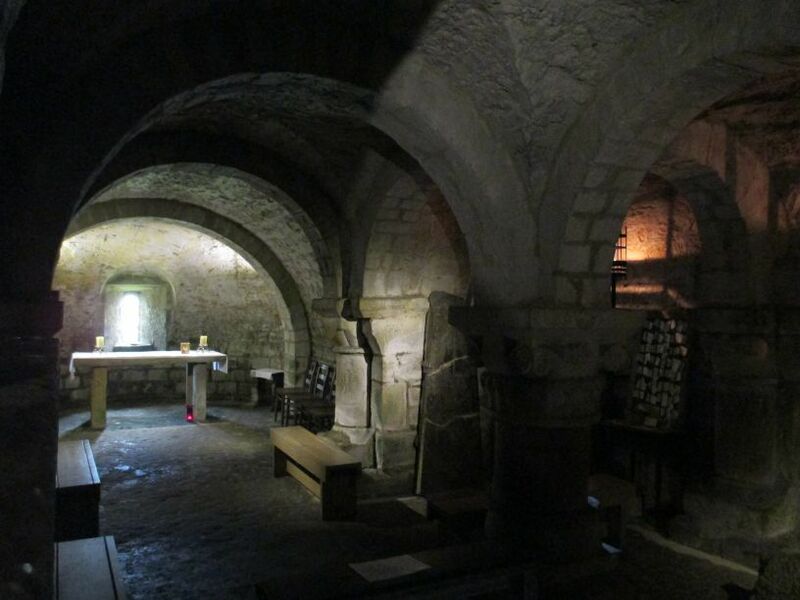 The crypt was built by Stephen and his monks between 1078 and 1088 and probably incorporates some of the stonework of the earlier church. 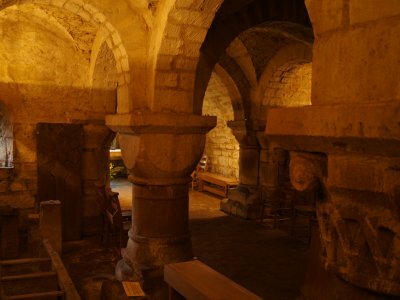 St Mary's Church, Lastingham: Looking towards the altar and east window of the crypt. 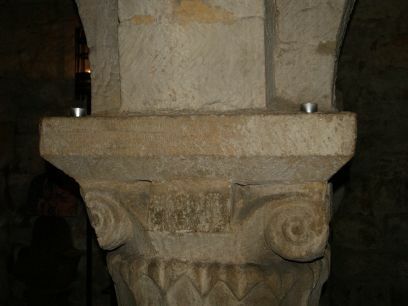 Some of the columns are quite richly carved. 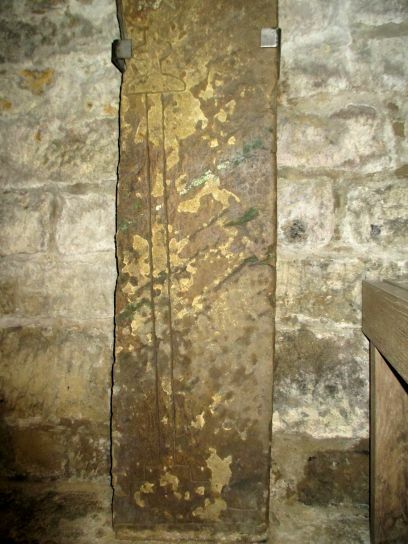 In the crypt - tombstone with a sword carved on it and a 10th century cross shaft with interwoven Viking designs, but also 'key' design features typical of late Saxon crosses. 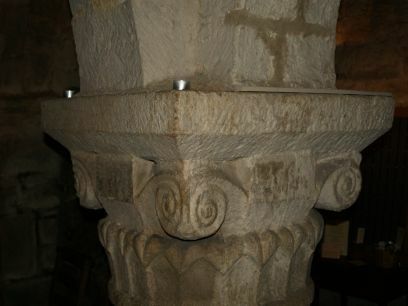 Some of the fine stone carvings on the capitals of the pillars in the crypt of Lastingham Church. 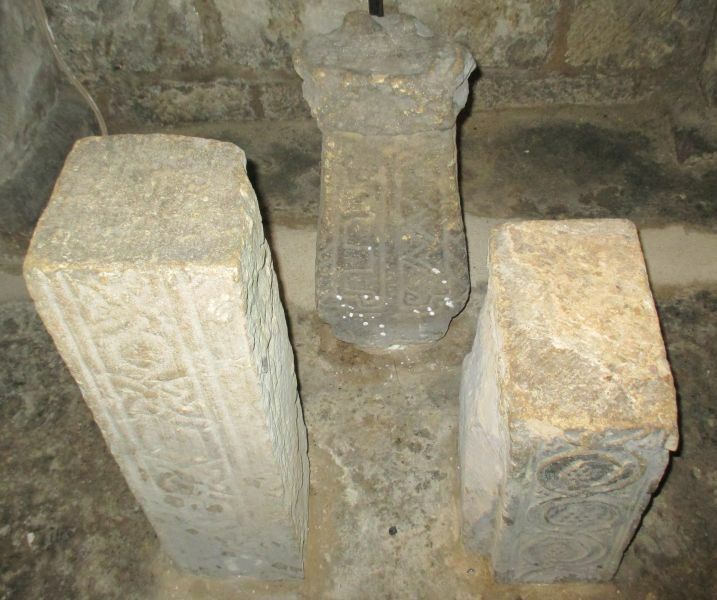 Ancient carved stones in the crypt of st Mary's Church, Lastingham, perhaps fragments of 8th century carved stones from a shrine-like structure? 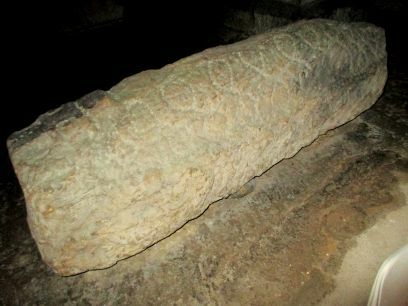 A hog-back tombstone displayed in St Mary's Crypt.